On August 21, a large swath of the U.S. will experience a total solar eclipse--the first in a century. 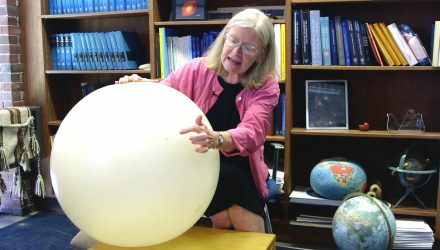 Before she heads off to watch from a campsite somewhere in Wyoming, astronomy professor Suzan Edwards explains some of the science behind eclipses and why this one is such a big deal. 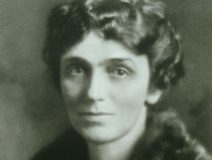 Blanche Ames, class of 1899, and her husband, Oakes Ames, professor of botany at Harvard and director of the Arnold Arboretum, dedicated their lives to traveling the world in search of specimens. Among her many achievements, Blanche is considered the foremost botanical illustrator of her time, helping to give the study of orchids a strong scientific foundation. 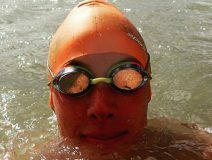 Abby Bergman ’18 completed her 21-mile English Channel swim on August 1, reaching shore in 13 hours and 15 minutes. Bergman is the seventh Smithie to swim the English Channel. Retired Smith swim coach Kim Bierwert and Paige Christie ’15, who swam the Channel in 2014, were there to cheer her on. Anja Nordstrom ’18 spent much of the summer looking at small sections of zebrafish brains in Smith’s Center for Microscopy and Imaging. 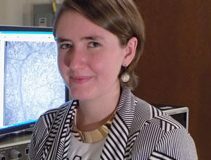 Her project, which includes a portfolio of illustrations based on those microscopic views, will enable researchers to better understand zebrafish neural connections. What’s Changed for Women in Politics? The recent election cycle may galvanize more women to change the political landscape, says Lauren Duncan, professor of psychology, in a recent Boston Globe story about what--if anything--has changed for women in politics over the past several decades. Duncan's course, The Psychology of Activism, was the basis for Smith's first MOOC, which can be accessed through edX.org. Artist Leonard Baskin's famous bronze owl sculpture has been relocated several times over the years. Learn why this beloved piece of campus art is especially meaningful for the class of ’65, and where its new home is today. “The owl was part of my Smith experience right from the start,” says Paula Ferris Einaudi ’65.